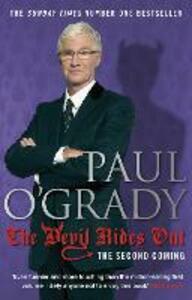 The further adventures of Paul O'Grady - following on from the million-copy-selling At My Mother's Knee - are, if anything, even more hilarious and outrageous than what has come before.To say that The Devil Rides Out is action-packed is an understatement. Its extraordinary cast of characters includes lords and ladies, the legendary Vera, a serial killer, more prostitutes than you can shake a stick at and drag queens of every shape and size. Wickedly funny, often moving, and searingly honest, Paul's tales of the unexpected will make your jaw drop and your hair stand on end. And you'll laugh like a drain. The Devil Rides Out is one hell of a read!